Matching buyer expectations with reality in the competitive Sydney market is becoming increasingly difficult. Here are 5 pieces of advice to help ensure you avoid any nasty surprises when you decide to buy. If you’ve set your sights on buying an apartment in Sydney’s inner-city areas, then you’ve got your work cut out for you when it comes to finding a property to match your expectations. What should you look for when buying an apartment? How do you determine an appropriate budget? Here are some smart considerations when buying an apartment in Sydney. You won’t do yourself any good by blindly looking at apartments in Sydney before you know how much you can afford. Start by going to a bank or lender to establish a loan affordable to you, based on your income and other criteria. Once you are able to set a loan amount, you will be in a better position to eliminate areas beyond your budget. Be sure to include a list of costs in your budget. Remember that in New South Wales, you will need to consider items such as stamp duty, mortgage stamp duty, conveyancer fees, building and inspection fees and insurance rates among others. - How many bedrooms and bathrooms do you need? - Do you like an open plan or closed room layout? - Do you want a balcony for entertaining guests? - How much storage space is required? - Would you like access to a garden or courtyard? - Do you need to be close to public transport and schools? - Do you need car parking space? - Does the home have to meet special needs, like wheelchair access or a study? All these factors will help determine whether the apartment meets your needs. Use this checklist as a stepping-stone to preparing your own version. Doing anything recklessly is always a bad idea. Just like you spend time researching a new car, be sure to do thorough research on potential apartments. This may take some time and may involve a lot of hard work, but it is a smart way to get the best deal possible. Always look at several different places before making the decision to buy. Check the condition of the property and make sure the price quoted resonates with the condition of the place. You can only do this through adequate research about this apartment and similar units in the area. Paying for professional inspections may seem daunting, especially when you’re already spending hundreds of thousands of dollars on your new place. But inspections can find faults that may be too expensive to fix, even when they aren’t visible to the naked eye, saving you a ton of money in repair work. Don’t forget to check for pests such as termites. When you find an apartment you like, you should ideally negotiate if you consider the price too high. If the seller considers the seriousness of the offer, he may bring his price down marginally to accommodate your request – so be sure to negotiate within reason. You will need to make an initial deposit soon after your offer price has been accepted, so you should always keep funds for your initial deposit ready in case your offer is approved. 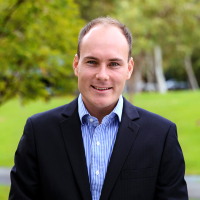 A respected estate agent with over 10 years’ experience and a superior track record in sales and leasing results, Michael Murray is deeply knowledgeable in Sydney’s dynamic and diverse property market. Michael has secured tenants for some of Sydney’s most elite properties. He has set new records for rental prices achieved, and received prestigious awards for his performance in leasing properties. An aptitude for matching tenants, buyers, investors and vendors with their ideal result is a signature of his professional style. Michael has a personable and competent manner, and is known for his open, honest communications. Outside his industry achievements, Michael is a known community figure who has been a volunteer lifeguard at Bondi Surf Life Saving Club for over a decade.